The minute you see our campus you’ll know you want to be an Eagle too! Campus visits are one of the most important aspects of a college search. We strongly encourage all juniors, seniors and their families to visit and see what the buzz is all about! This is the best way to see Kirkwood’s campus! 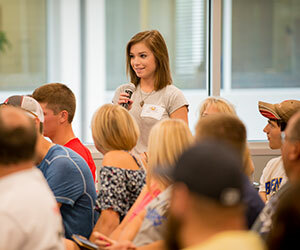 Perfect for current high school students (and their parents), our Campus Visit Days cover all the information you need to know about getting started at Kirkwood — including admissions, financial aid and scholarships, student activities, housing and much more. You’ll hear about the student experience directly from current Kirkwood students and have a chance to discuss your major/program interest area with our expert instructors. Campus and housing tours are also part of the visit. Saturday Campus Visits include an information session led by our Admissions team, campus tours, complimentary lunch and optional housing tours. Although there are no academic department sessions, we will have program information available. 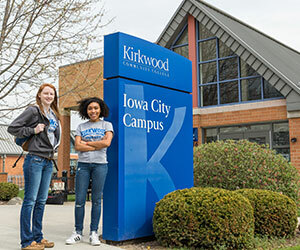 For juniors and seniors who plan on attending Kirkwood at the Iowa City Campus. Iowa City visits run two hours and are located at the Iowa City Campus. Contact us if you have questions about which campus you should attend. If you can’t make a scheduled Friday or Saturday Campus Visit date, we are happy to make an appointment and welcome you to Kirkwood one-on-one. Students and families can expect a tour of campus and comprehensive information about life at Kirkwood. To schedule your private campus visit call Admissions at 319-398-5517 or email info@kirkwood.edu. 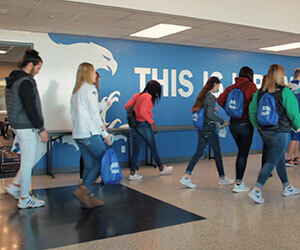 Kirkwood welcomes visitors from high schools and community-based organizations to visit campus as a group. Please limit groups to 8 students. 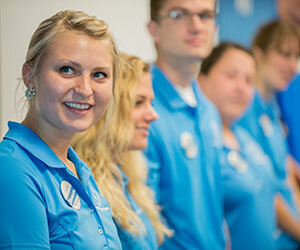 To schedule your group visit call Admissions at 319-398-5517 or email info@kirkwood.edu.